Free, easy tool to choose programs to allow to run on Windows startup. You can specify approved applications, close unwanted or find more about unknown. 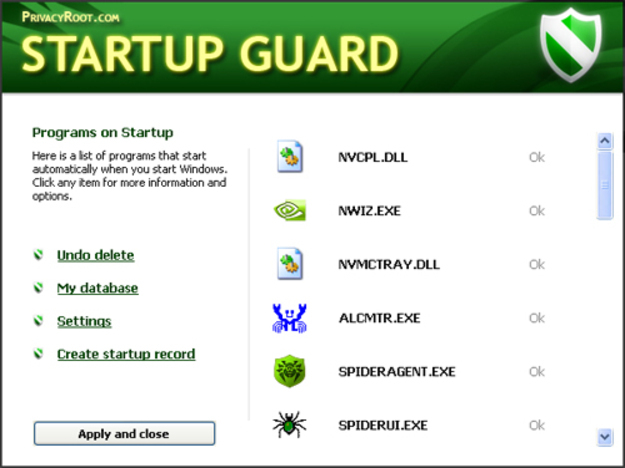 Startup Guard catches new startup records, so you can even remove a virus or spyware. You can disable unwanted system processes to get maximum computer performance. Startup Guard includes UNDO function to roll back any changes you have made.